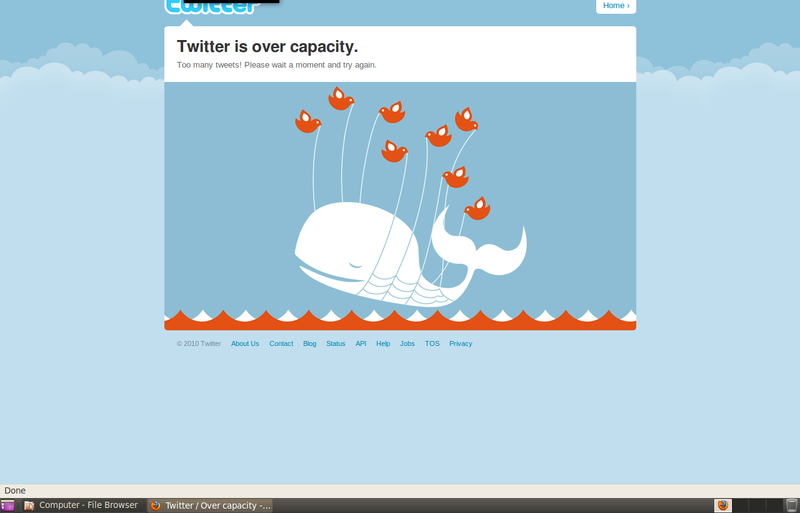 Guess its time they increased their server capacity because the rate at which twitter use is increasing is high. Twitter as a website is one of the most widely communication website as internet users are preferring social media to other media in accessing and conveying information. The biggest problem with Twitter being down is that you can’t complain about Twitter being down on Twitter. While I love Twitter, I do find when the fail whale appears, I tend to get more work done; or I spend more time on other social networks.